With Durango Home Improvement, your dream home is possible! For the past 30 years, Durango Home Improvement has restored and remodeled beautiful homes in the Durango area as well as the finest mountain cabins in Colorado. Owner Matt Hladik’s experience and expertise in the area has resulted in long-standing customer relationships and numerous opportunities to use his unique design skills. Durango Home Improvement is committed to offering professional services with outstanding quality. 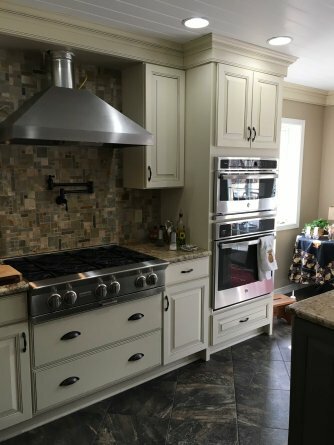 As an experienced project manager, Matt has obtained years of experience designing custom kitchens, modernizing out-of-date bathrooms and basements and building custom carpentry for your home or outdoor patio. 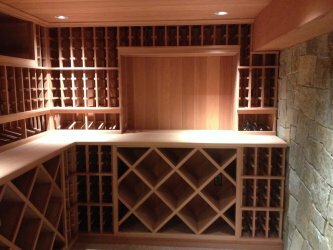 We also offer services to design and install custom wine cellars along with cooling and environmental systems, household storage solutions, decks, custom garages and work spaces. Our team at Durango Home Improvement can help transform your kitchen into a timeless family space. 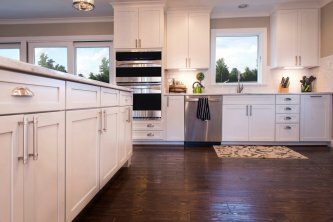 Their knowledge and efficiency allows us to build custom and professional kitchen cabinets that perfectly suit your style and functionality. Among the many services offered by Durango Home Improvement, we guarantee to get the job right the first time. From room additions to basement finishing, Durango Home Improvement have became experts in the home improvement process. Matt’s skills and strong attention to detail extend outside of general construction and he also offers project management services for your latest remodel venture.